Anyone who knows me knows I love scarves. I have a huge collection and I often switch them out to compliment my outfits. I find outerwear boring, so I love the pop of a colourful scarf to bring some fun to it! Plus, they keep your neck warm. Win-Win. 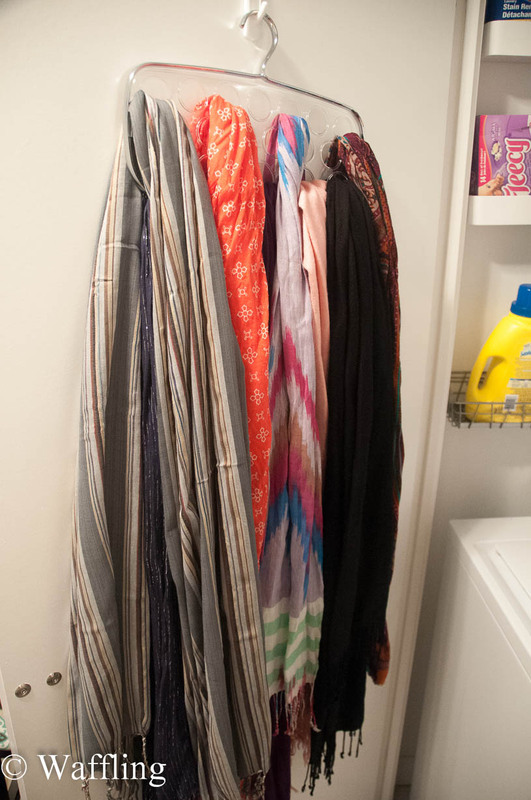 However, my scarves have been slowly taking over the hooks in the closet that were designated "scarf hooks" when I moved in. 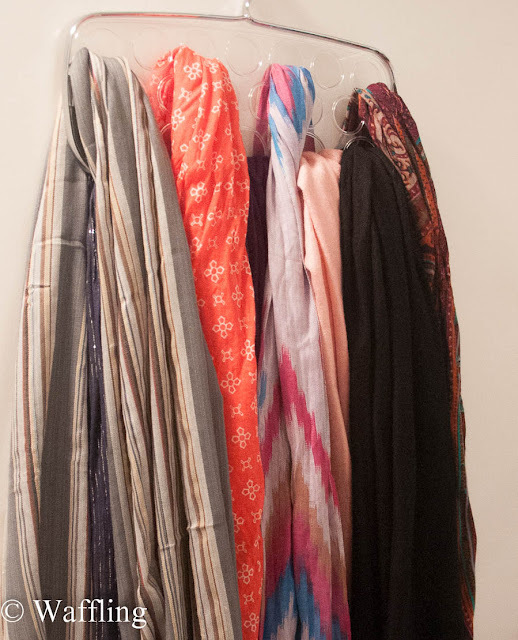 Because, you see, a girl needs warm scarves and light scarves, and every colour imaginable. Obviously. I did go through a get rid of some I rarely wore, but I still had more scarves than hooks! For Christmas, my dad ended up getting me two different scarf hangers. Apparently he didn't even notice until wrapping them. Haha. I gifted one to a friend and kept one for myself. 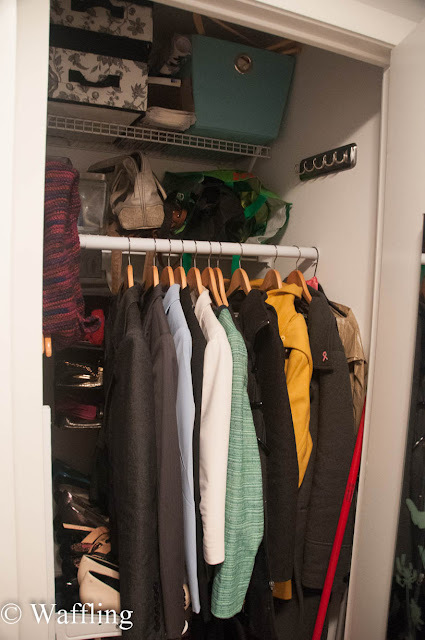 I decided to move them out of this closet because hanging them behind the coats would add so much bulk and not easily accessible. By using a command hook, I have been able to hang them in the laundry closet instead! Still accessible (it is the same closet system) and oh so pretty to pet and coo over. I love my scarves! I can't wait until it is warmer so I can bust out the lighter-weight ones again. And notice all the unused holes on this hanger- oh yes, that is an excuse to buy new ones I thinks. Now my closet seems to have SO much more breathing room! I kept my knitted cowl scarf in there because it is my go-to winter scarf and not meant for a hanger like my new one (you can see it on the left of the closet). I have plans for those old hooks too! And then I plan to tackle the mess of those shelves in the closet (I need to stop saving old purses- I never re-use them) and adding more storage! Did you do any quick organizational projects this weekend? 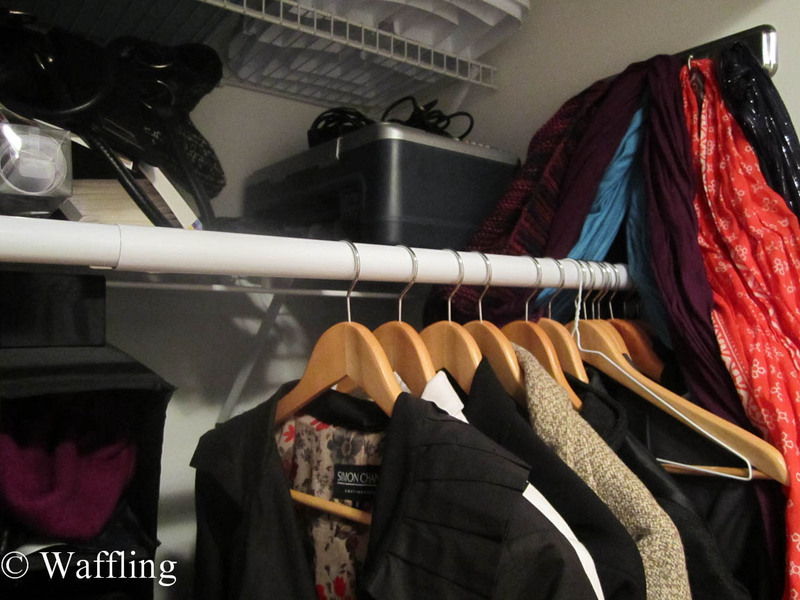 Doesn't it feel great to better organize all that clutter?? Mixing Patterns and Colours: Trial and Error! 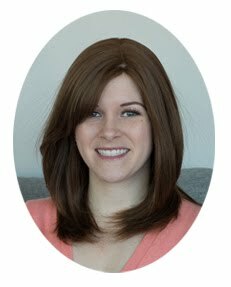 Prepping for My Bathroom Reno!